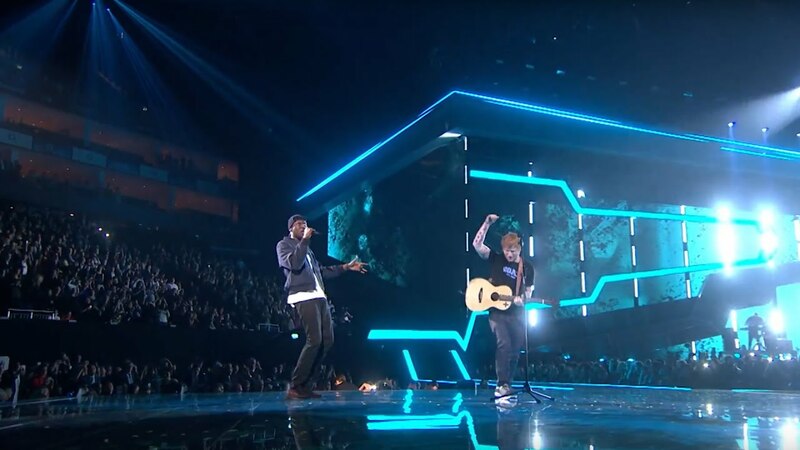 Ed Sheeran brought Stormzy onto the stage for this year's Brit Awards to debut the 'Shape Of You' remix and it was LIT. Sometimes, two of your dream artists get together to create something absolutely incredible. That's where these two fellas come in. With Ed Sheeran currently ruling the roost since the second week of the year, it was time for him to share the wealth with his pal Stormzy. Just hours after they debuted the collaboration, the song was made available to download around the world and let's just say fans were happy to click that buy button again, again and again. Download Stormzy & Ed Sheeran's 'Shape Of You' (Remix) now. Ed Sheeran and Stormzy's 'Shape Of You' remix debuted at No.1 in the Vodafone Big Top 40 on the 26th February 2017 and we had the man himself in the studio to tell him the news!